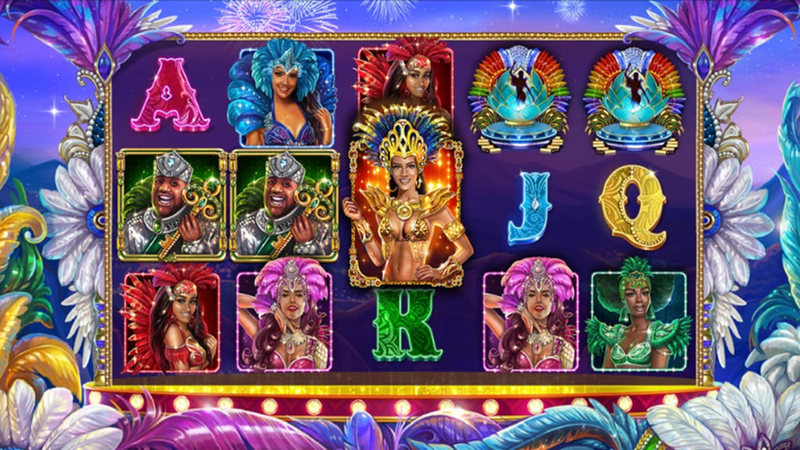 Taking you to one of the world’s most famous celebrations often taking over a week to finish, Carnival Forever is an up and coming title produced by BetSoft. Scheduled for the January 2019, right in time when Rio de Janeiro, Brazil, becomes the capital of fun, joy, and free spirit, the game will be built with 5 reels and 3 rows. We just have to wait a bit to see the number of paylines and the official info will they be adjustable or fixed. With vibrant colors and catchy sounds, the game will surely try to make you feel like dancing on the streets all night long. Carnival Queen appears as the Wild and may turn into an Expanding Wild to cover the entire reel or fill it partially to help prospective winners earn more and faster. The moment when the Carnival King appears on the reels will be the clear sign you collected enough Scatters to turn on the Carnival Forever Free Spins. More interesting, there is no cap regarding your winnings, so let’s hope this title will feature a local or even a networked progressive jackpot. For more details about the RTP, winning tips and other features, stay tuned for the official update of the BetSoft Carnival Forever slot review. We have no free play mode available yet, but take a look at the Carnival Forever screenshots instead. Or why not simply giving a try with one of the recommended casino sites above?